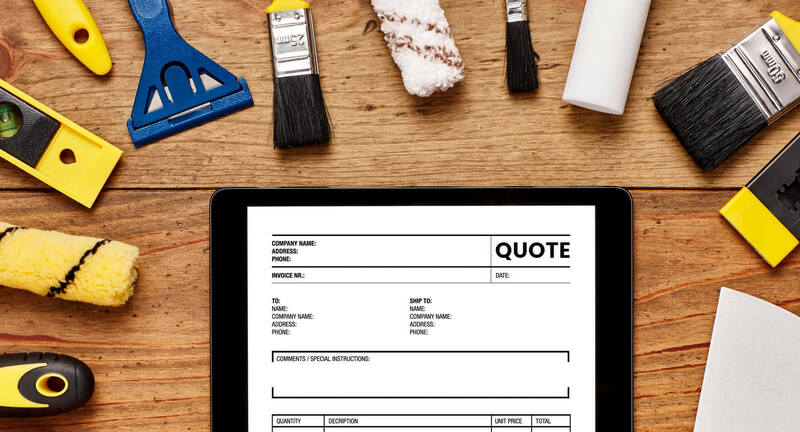 Your painting business faces as many challenges as there are color swatches to choose from. Pricing out jobs. Following up with potential clients. Collecting deposits for up-front materials. Sending out accurate invoices that include time spent and materials used. 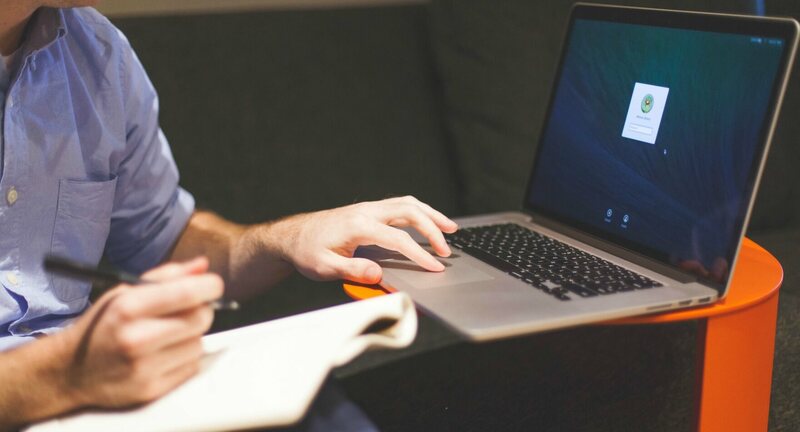 Jobber helps you look professional from day one, start work without delays, and get paid on time. Quoting & Estimating Win more work with detailed, professional quotes and automated reminders. 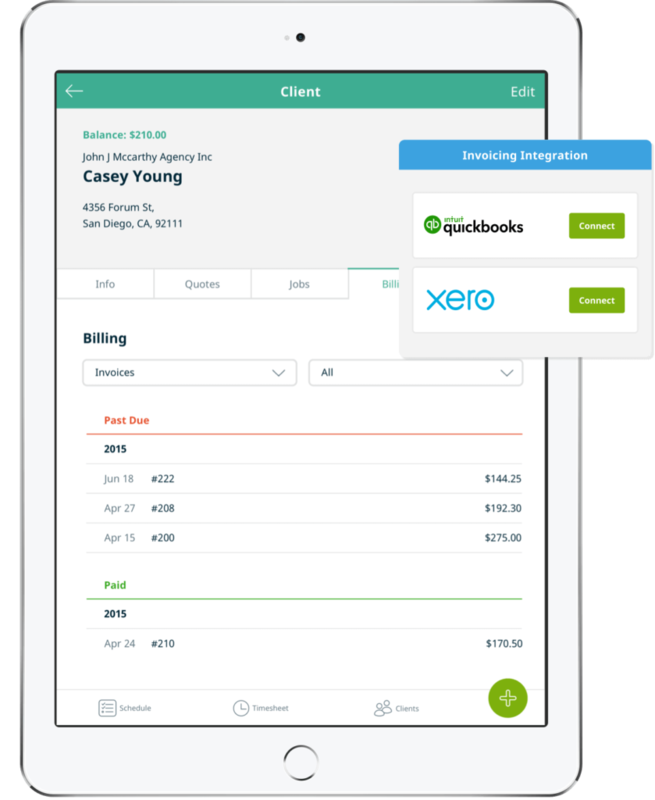 Time and Expense Tracking Price out the next job even more accurately. Invoicing When you finish a job, Jobber reminds you to send the invoice. When you send out a good-looking quote, you tell the client that your work will look even better. Jobber helps you generate and quickly send out custom quotes. You can even track their status to see which ones haven’t been accepted yet and follow up with the client. Tired of chasing customers down for money? 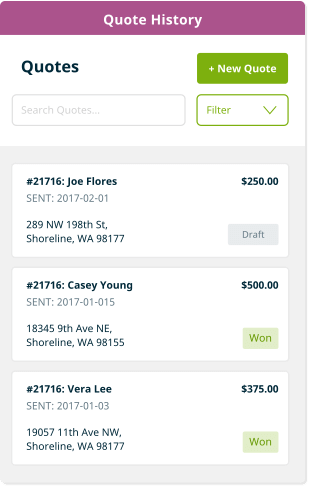 Jobber helps you collect deposits and final payments faster. 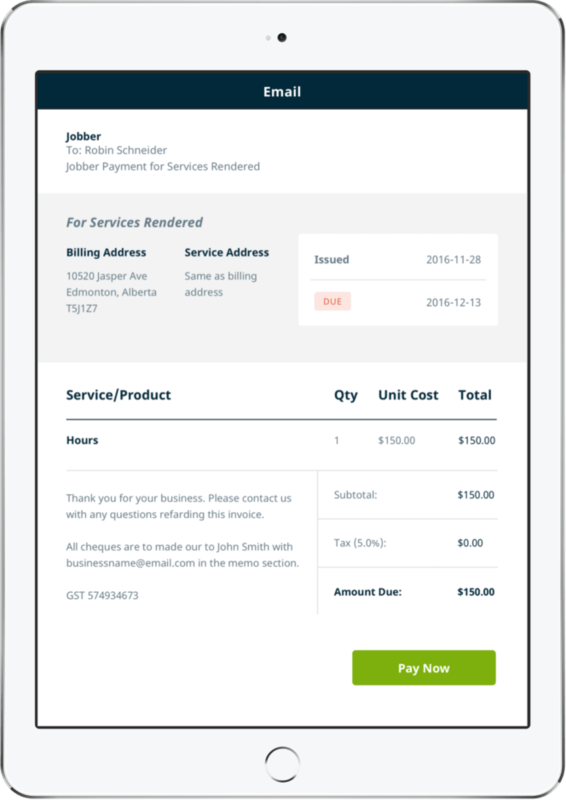 Customers can pay you in the field or online with Jobber Payments. With Jobber, you don’t have to worry about losing handwritten notes or store receipts. Every cent makes it to the final invoice so you can collect what you earned—and price out the next job even more accurately. 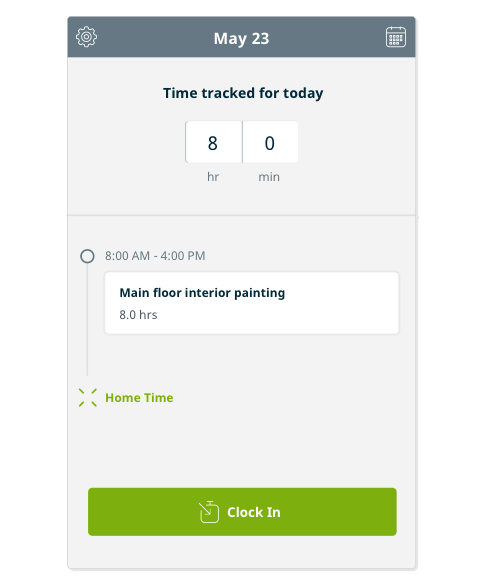 When you finish a job, Jobber reminds you to send the invoice. 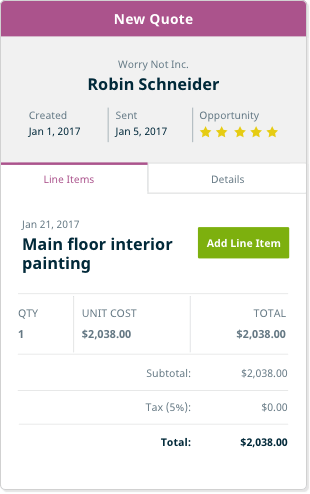 Your admin team can go over the job, review tracked time, and add materials to the invoice total if needed. Careful quoting wins jobs, sets clear expectations, and drives profit. When you are talking to a lead you want to make sure you get the job!